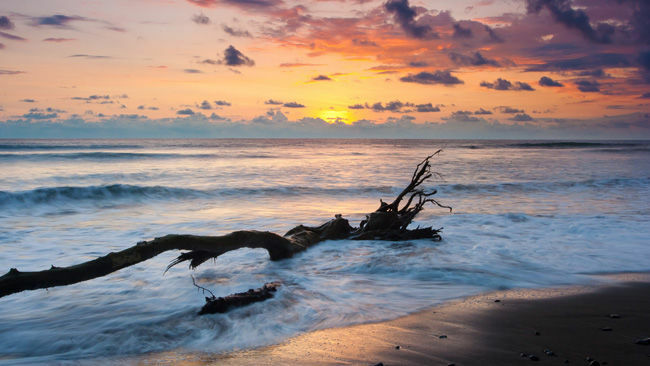 They say that Costa Rica’s photo ops are picture-perfect, and they’re not lying – we have the proof! The same applies to our selection of Costa Rica videos. Our travel experts have journeyed far and wide, both to popular destinations and the most secluded corners of the country, to snap thousands of photos. We’ve organized our favorites into dozens of albums – classified by destination, theme or activity – and posted them to give you a taste of Costa Rica’s stunning sights and visual beauty. May our snapshots of kaleidoscopic sunsets, pristine beaches, and inquisitive animals inspire your travels! Our selection of videos cover many of the most exciting areas of Costa Rica as well highlighting some some of the most thrilling tours and sights to see around this beautiful little country, so time to dig in! Here at Costa Rican Vacations, we set out to find the best Casado in Costa Rica! What's a Casado you ask? A Casado is a traditional Costa Rican lunch named for the “married men” it traditionally fed. The Real Jurassic Park in Costa Rica is here! Can you spot the story from Jurassic Park in this photo gallery of stunning Costa Rica places and wildlife? Hollywood has Nothing on these Costa Rica Film Sets! No matter if the sun falls in the ocean or in the mountains, Costa Rica offers the best venues to enjoy the most impressive and magical sunsets.